The belief that women are not naturally inclined to sports has been dismissed and Joy Taylor is definitely a pioneer of some sorts in the breaking of this stereotype. She is a seasoned sports radio presenter and TV host, having a mix of in-depth knowledge of the game, a knack for keenly being analytical all with a brush of unique humor. The world of sports has definitely fallen for this queen of sports news. Stunning and even more amazing than the drive with which she does this is her refreshing sense of humor. As interesting as these things are, there is so much more to know about Taylor. So, let’s learn more about her, her marriage, family, and other juicy facts you’d love to know about the lady. On the 17th day of January 1987, the home of Georgia and Anthony Taylor was blessed with a baby girl, and they named her Joy, most likely as a reflection of their emotional state at the time. Raised in Pennsylvania, Taylor obtained her formal education from local schools, then in 2009, she achieved the milestone of a Bachelor of Arts Degree in Broadcast Communications from Barry University. Joy Taylor is amazingly an African American. During her school days, her leadership attributes became more glaring after she coordinated and hosted a radio show (The Noise) on Barry University radio station. With that show, her fame in the school skyrocketed and in no distant time, she became the manager of the said radio station. That became the stepping stone to her growing career. Subsequently, she accepted a job offer from 790 Am, a radio station in Maimi. There, she served as their executive producer for the show, The Ticket. She worked with the team for three years before moving to work as a co-host for Foster’s top morning sports drive show named Zaslow and Joy show. Joy also worked with CBSSPorts.com where she served as the host for Fantasy Football and Thursday Night Live. That’s not all, the radio presenter later became a part of the Fox Sports Family shortly after her deal with CBS. With Fox, she was later announced as the moderator of Skip and Shannon: Undisputed. The Fox team still has a grip on her as they recently announced that the radio personality may likely be moved from her previous show to a recent show named The Herd. Apart from her deals as an on-air personnel, she gains extra income via the internet where she hosts a live show, The Hang and Maybe I’m Crazy. 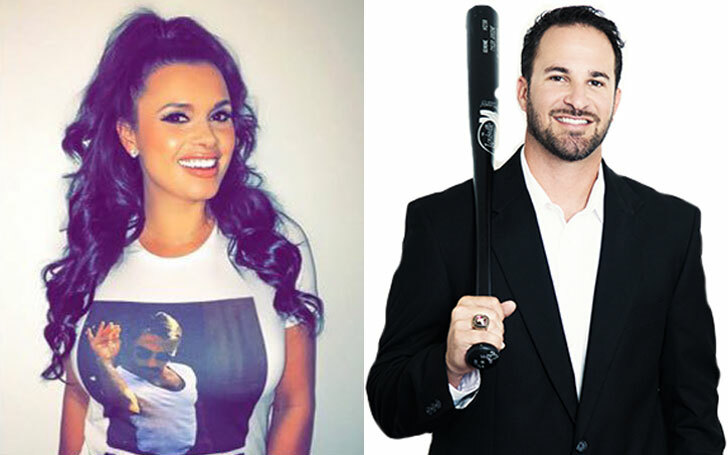 Husband or BoyFriend, Is Joy Taylor Married? Taylor supposedly met her husband, Richard Gianotti at a conference in 2014. Throughout their dating period, the couple kept their romantic affairs off the spotlight. However, they couldn’t hide their joy when they tied the knot at Fort Lauderdale, Florida, in a cozy wedding on February 13, 2016. Unfortunately, this fairytale romance ended in a divorce which is said to have been caused by the strain of distance from Taylor’s career move to LA. Richard Gianotti is a sportsman, he was an expert when it comes to the game of baseball and his remarkable performances with the Miami Angels are still remembered till date. Currently, he works with Global Wealth Management Sports and Entertainment. We wouldn’t be wrong if we conclude that the media personality seems to have a special kind of attraction for baseball players. Joy is said to have found love again with yet another baseballer named Earl Watson. See Also: Betsy Woodruff Parents, Married, Husband, Is She Related To Bob Woodruff? There is a paucity of information on Taylor’s childhood. However, it is no secret that she is one of three children born to Georgia and Anthony Taylor. She shares a tight bond with her two siblings, Jason and Noah and they were all raised in the suburbs of Pittsburgh. It is no surprise how Joy Taylor pays attention to sports; she came from an athletic home. Jason, her older brother, is a footballer who plays as a defensive end for one of the teams in the National Football League. He has bagged a lot of accolades and in 2017, had his name inscribed into the Pro Football Hall of Fame.